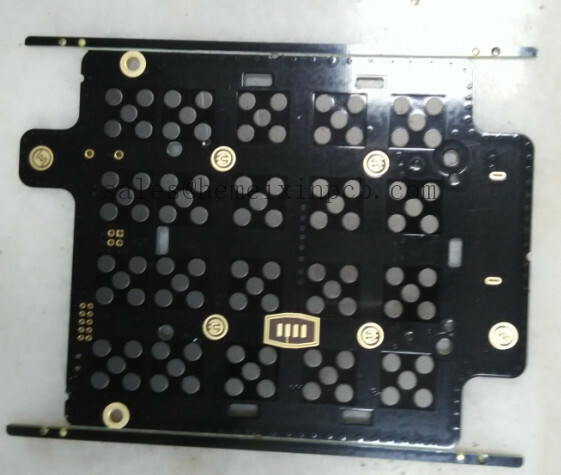 Product categories of Heavy Copper PCB, we are specialized manufacturers from China, High Current PCB, Heavy Copper PCB suppliers/factory, wholesale high-quality products of Oz Copper PCB R & D and manufacturing, we have the perfect after-sales service and technical support. Look forward to your cooperation! Hemeixin PCB is a Heavy Copper PCB and EXTREME Copper PCB manufacturer. Most commercially available PCBs are manufactured for low-voltage/low power applications, with copper traces/planes made up of copper weights ranging from 1/2 oz/ft2 to 3 oz/ft2. A heavy copper circuit is manufactured with copper weights anywhere between 4 oz/ft2 to 20 oz/ft2. Copper weights above 20 oz/ft2 and up to 200 oz/ft2 are also possible and are referred to as EXTREME Copper. we can produce many heavy copper PCBs up to 30 oz.